If you guys have been following me for a while, then you know I like really nice things. I admit that but let me let you guys in on a little secret. Chile, I am the consignment queen. So what exactly is consignment shopping? And what’s the difference between consignment shops and thrift shops? Consignment shops sells goods for an owner. The owner retains ownership of their goods until it’s sold. Once the item sells, the owner pays the shop a small fee for selling the item. Thrift shops operate solely on donations. When I purge my closets I have a consignment pile and a donate pile. I take advantage of both types of second-hand shops. Access to designer items – I have been able to find great handbags and shoes in great condition and at seriously reduced prices. Why pay the mark up when you don’t have to. Saves you money – As stated above, you can find really nice pieces at greatly reduced prices. Let’s you create your own style – most retail stores carry only the current trends. Consignment stores give you access to an array of items from different seasons that will lend to you creating your own signature style. We all want to be a little different. Well, maybe that’s just me. Now there are a few things you should keep in mind when consignment shopping. Have in mind what you are looking for. Consignment shopping can be overwhelming and expensive if you don’t have a plan and a list. Have a price point in mind but be realistic. Consignment shopping is cheaper but don’t get ridiculous. You know you are not going to be able to get a barely worn pair of Louboutin’s for $50. If you do, you may be getting a pair of knock-offs. Speaking of knock-offs, do your research and make sure you know how to spot fakes. Several online consignment shops authenticate items for you. If you question an items authenticity, most reputable sites will refund your money. Check the items condition. Some things can be easily repaired at very little cost. If an item requires an expensive repair it may not be worth purchasing. My favorite local consignment shop here in Birmingham is Melanie's Upscale Consignment. You can also find great pieces at Style Encore. Also, here’s a list of my frequently used online consignment shops. 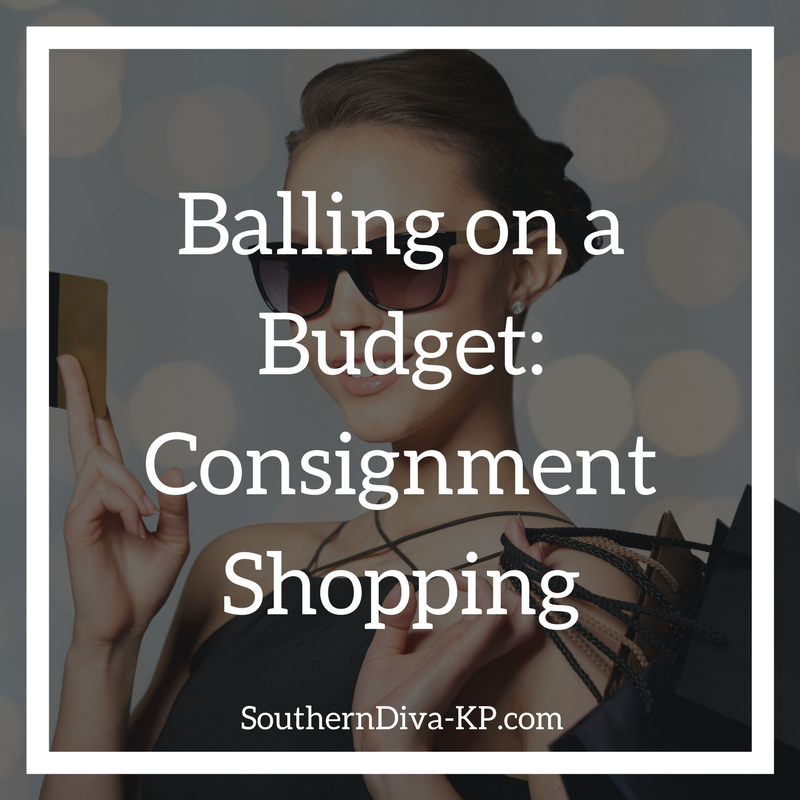 If you have never looked into consignment shopping, I hope I have given you a new option. It is absolutely okay to ball on a budget. I like having nice things and still being able to eat well. Besides, you never know what great pieces you may come across. Let me know what you think about consignment shopping. Have you find some great pieces in a consignment shop before? Let me know in the comments. You can also reach out to me on social media.